Microsoft Azure SQL Database is a fully managed cloud database service, provided as part of Microsoft Azure. 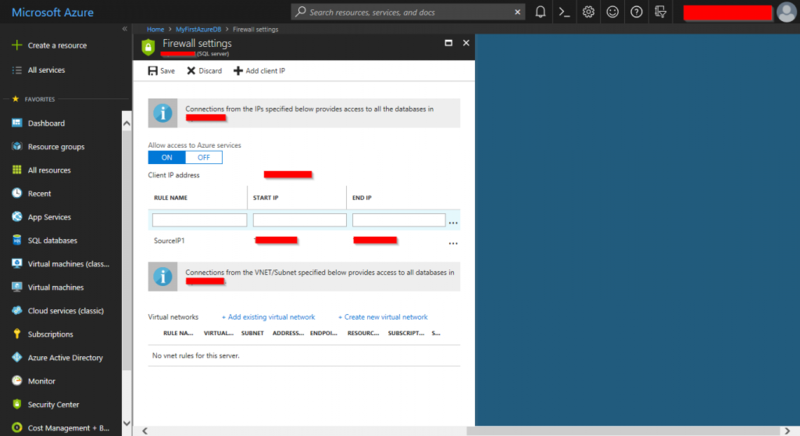 That means, that via the Microsoft Azure Portal, among other, you can easily create database servers, and thus host your databases. 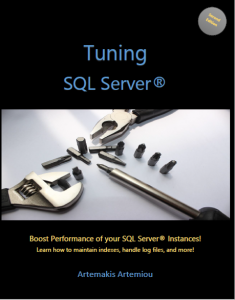 Moreover, you can still continue to use the same SQL tools you used for on-premises SQL Server instances (i.e. 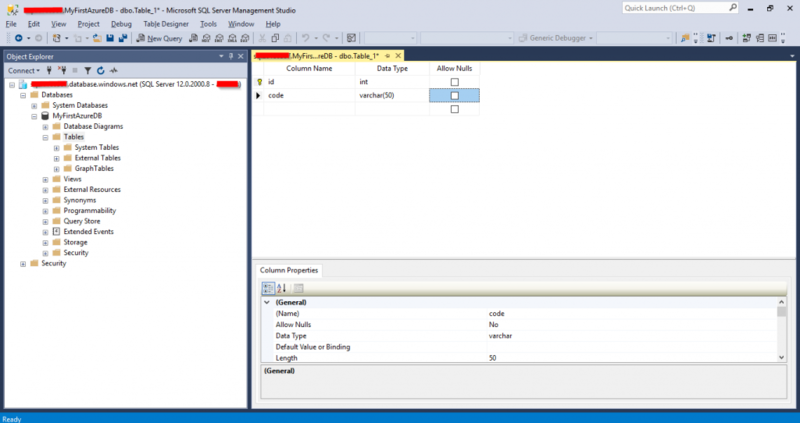 SQL Server Management Studio), with the only difference that you will be connecting on the SQL Server instance/database on the cloud. 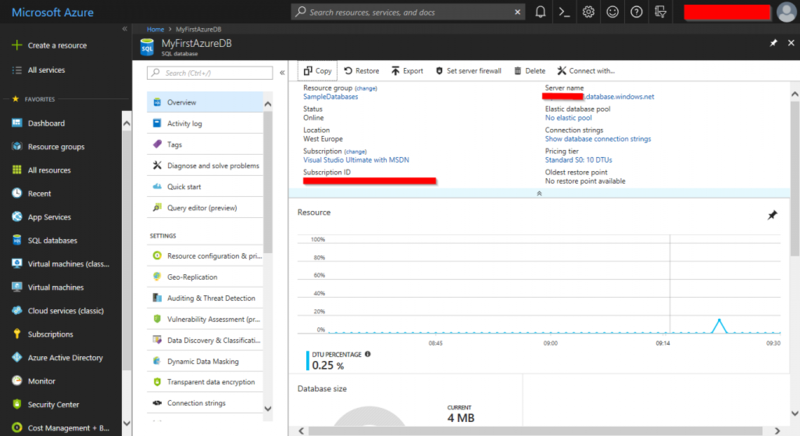 With this article, I’m starting a series of articles that will help you get more familiar with Azure SQL Database. We start with the basics and then article-by-article we will be discussing more complicated concepts and features. 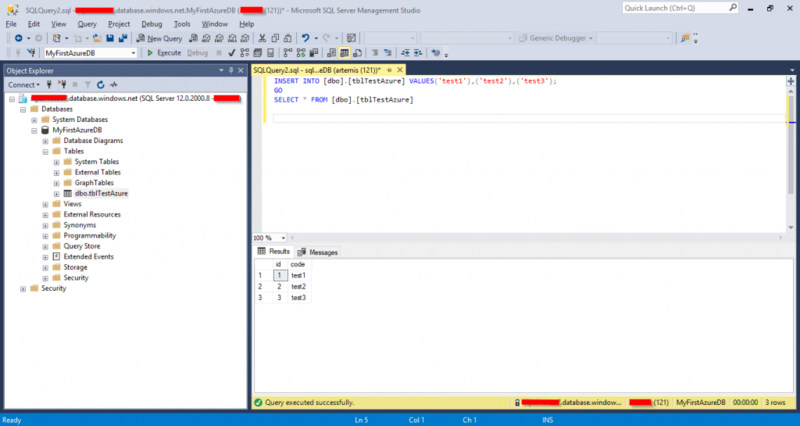 In this article we are going to create our first database in Azure SQL Database step-by-step. However, prior to that, it is worth mentioning that Microsoft, in order to help you get started with Azure and Cloud Computing, let’s you start with a free account on Azure. Learn more about the Azure free account. 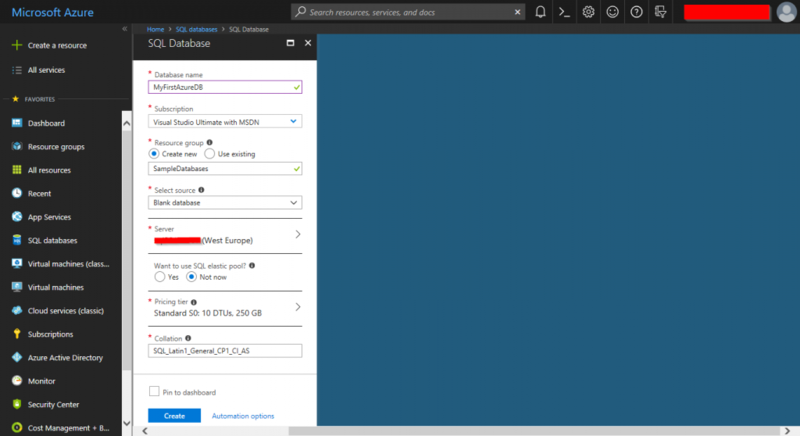 OK, that being said, let’s start this interesting article series dedicated on Azure SQL Database. 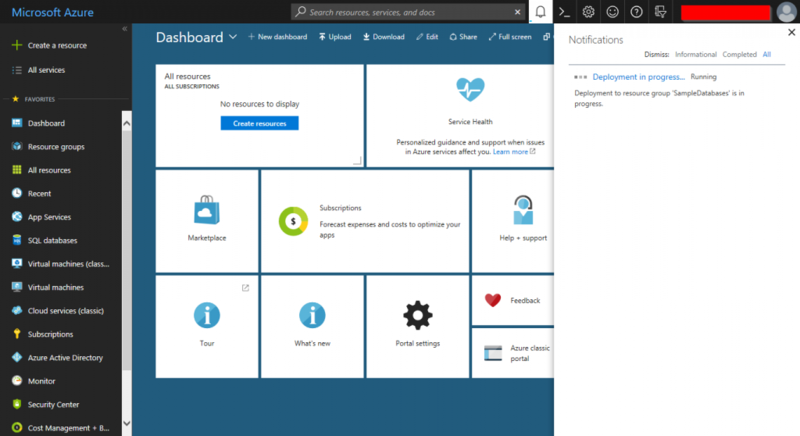 After logging into the Microsoft Azure portal, you are presented with a fully customizable dashboard. Step 2: In our case, we want to work with Azure SQL Database, so from the left navigation bar we click on “SQL databases“. There, we can see that there are still not any sql databases to display. 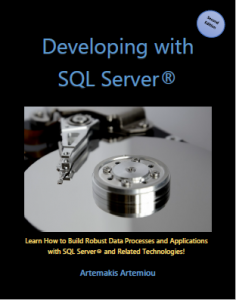 To this end, we proceed to Step 3 and therefore we start the process of creating a new SQL database. Step 3: We click on the the button “create sql database” and we fill in the required information. Step 4: Click on “configure required settings” under the “Server” section of the new SQL Database. 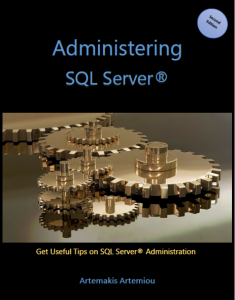 Step 5: We enter the details of the new SQL Server along with specifying an admin login. We click on “Select” and we proceed to Step 6. Step 6: Now that the server has also been created, we click on “Create” (and if you want on the “Pin to dashboard” checkbox) and our first SQL Database starts getting created. 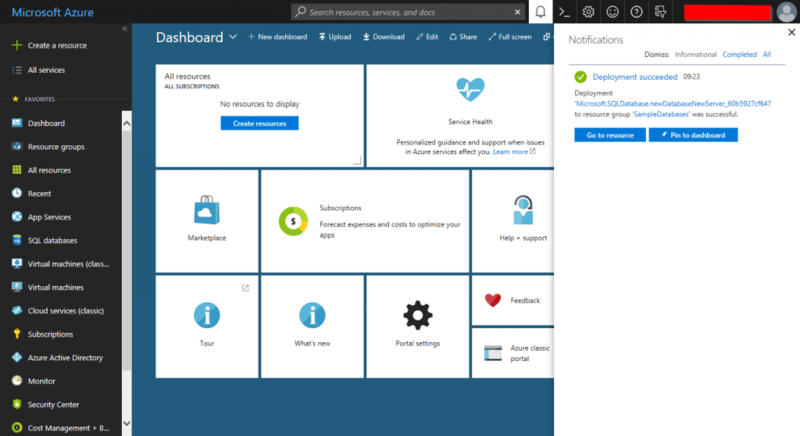 Step 7: As a confirmation step, we can check the notifications on our Azure Portal’s page. We to see that deployment is in progress and eventually that deployment succeeded. Step 8: We navigate again to the “SQL databases” section on the Azure Portal. We see that now our first database on the cloud has been successfully created. We also see that we are now provided with a large number of available actions. 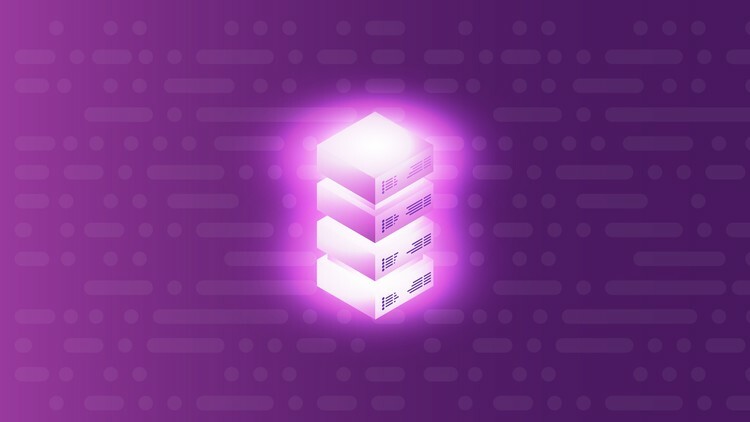 On this page, we take a note of the “Server name” which we will later use from SSMS in order to connect to our database from on-premises. 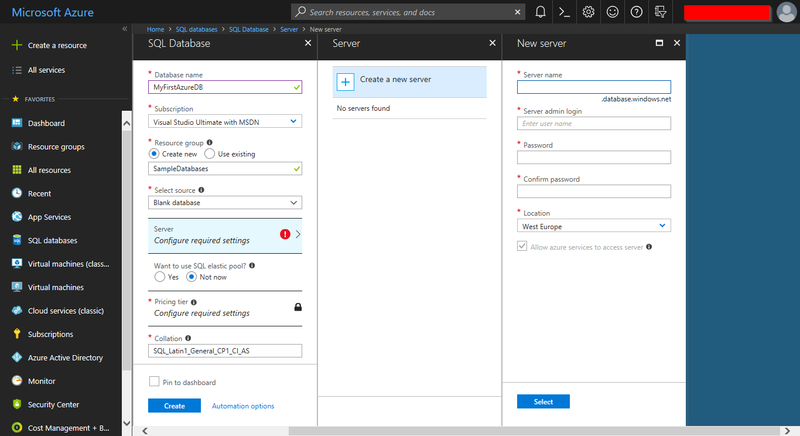 There is one last step we need to complete in order for our newly created Azure SQL Database to be accessible from our on-premises development tools such SSMS or Visual Studio. So, we proceed to Step 9. Step 9: Set the firewall settings. For this example I’m allowing access just for the IP of my client. This step is very important because besides the fact that you allow access to your client(s) IPs, you prohibit access to any other IP. OK cool! Now let’s connect to our Azure SQL database using our favorite tool, that is SQL Server Management Studio (SSMS)! In this example, I’m using SSMS v17.6 which you can freely download from Microsoft. 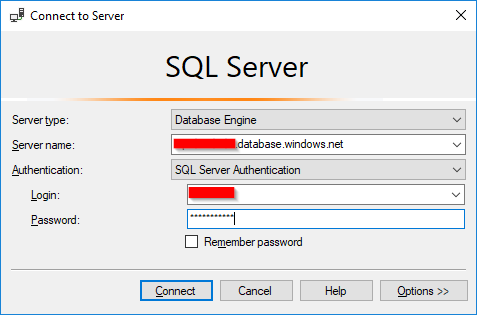 So on the “Connect to Server” dialog which comes up right after we launch SSMS, we just enter the “Server name” noted on Step 8, we choose “SQL Server Authentication” and we enter the admin login and password (or if another login was created the credentials of that login) in order to access the database. As you see, I managed to connect to my Azure SQL database via my on-premises SSMS and I work the same way I used to work before. In this example I’m creating a table. In this example I’m inserting sample data in the table and running a SELECT query. 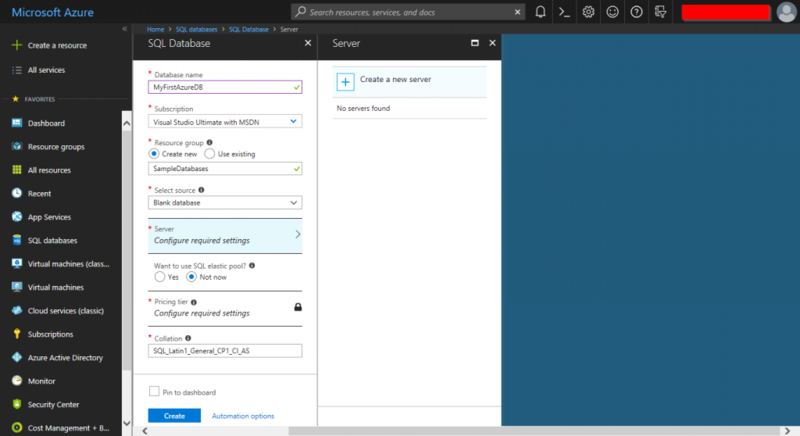 In this article, we saw step-by-step, how easy is to create your first Azure SQL Database and access it from your favorite on-premises tools like SQL Server Management Studio. There are so many things to see. Azure SQL Database is full of features and based on the philosophy behind Cloud Computing, it is quite easy to configure and use all these features. 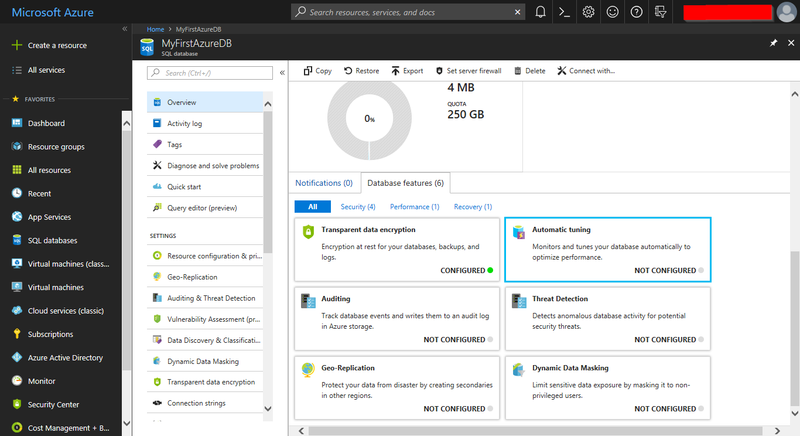 In subsequent articles on this series, we are going to see how to perform different tasks on our Azure SQL Database such as: encryption, auditing, tuning, replication, dynamic data masking and much more. Subscribe to our newsletter to stay up to day with all our articles, software tools, eBooks and more. ← Snippets Generator v3.3 is Now Out!